This ProPac Green CERT duffle bag with shoulder strap makes an ideal solution for carrying additional CERT supplies. Made of durable 600D polyester, this duffle features a roomy main compartment with zippered front and two side pockets. 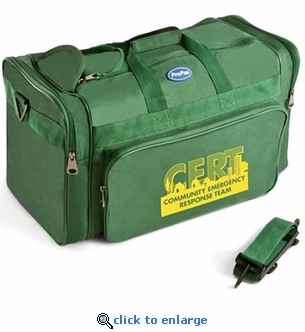 CERT logo imprinted on front of bag.